Data vs Ideology - what works for the poor? 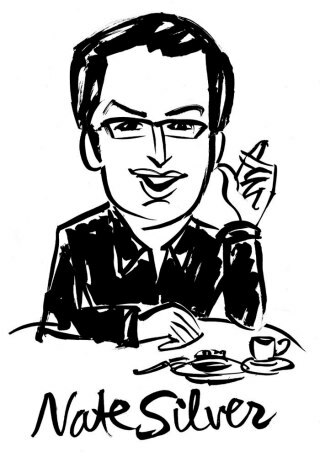 Nate Silver –the man who challenged American political pundits to follow math- not their guts. I might sound full of pride- but this is probably that time when all researchers are probably finding some Nate Silver in themselves. We study all sort of financial behavior of the poor- and when we present our findings, we attain our shares of tributes as well as hostilities …!We like it or not: the fact is that our pundits from the development sector ( I am including practitioners, policymakers, donors, and researchers) accept our research findings as long as they match their ideologies. At times, when I am very pessimistic about my own work as a researcher, I develop this feeling that this whole idea of what is working for the poor has always been about someone’s ideologies- be it some visionary’s or donor’s or activist’s ideas- what product works for the poor has never been about science and math- and probably that is the reason we have never been able to alleviate poverty. Look at the microfinance sector in India. While microfinance was on its acclivitous path, we had pundits endorsing the commercialization and profit in microfinance without understanding the impact and values of different models on the poor. The series of unprecedented suicides in Andhra Pradesh allowed the influx of criticism toward the sector from all over the world. Without understanding what the alternatives are for the poor in the absence of microfinance, the state of Andhra Pradesh that let microfinance to flourish in the past passed the AP Microfinance Ordinance 2010 that greatly restricted the microfinance operations in AP. Who suffered through all this- probably microfinance clients- the poor! It is not the story of microfinance programme only. Even other intervention programmes for the poor are implemented without any scientific verification. I am not entirely blaming our distinguished practitioners and service providers for it. The research community in India has not developed as rapidly as the sector itself. Many research studies conducted in India are not even based on observations made in practice and, in return, implementation of any development programs is not based on research findings. However, even when we are ready with our rigorously conducted research findings, our Babus have some reservations about our findings. This has resulted in the loss of opportunities for synergies between policy and research. We researchers believe that our research can clarify many questions and contribute to decision making process of policymakers, however, we get a rude shock when we realize that the direct influence of research evidence on policy and practice is mostly tempered by our pundits' own experimental knowledge and belief. It has been our struggle to achieve our goal of translating our research into practice. Hopefully, our continuous and sustained dialogue with policymakers and practitioners will one day increase the usage of research based evidence in policy. Meanwhile, there is no harm in receiving some inspiration from Nate Silver who defeated all pundits this election season…! There is still some hope that someday pundits will listen to us as well….! Dear Deepti, on a lighter note....Happy Diwali!!!! !